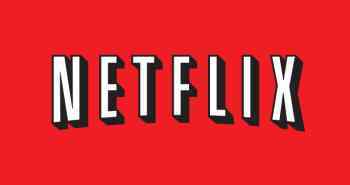 In order to keep costs down, Netflix will create its own data delivery network. Think back to 2007. Think really hard. A lot of things we take for granted weren't around. Demon's Souls was still two years off, The Dark Knight wouldn't emerge until the following summer, and a Netflix subscriber could access only DVDs. Everything changed in 2008 when Netflix introduced streaming content, and proceeded to expand its service so rapidly over the next four years that many people canceled their cable subscriptions outright. However, Netflix's success came at a cost, namely that of transmitting ever-increasing amounts of data through third parties. Now, over the course of the next few years, Netflix will take charge of its own data delivery with a network called Open Connect that will keep costs stable for consumers while expanding Netflix's library. While Netflix is ultimately in charge of getting content to its consumers, it's not as simple as storing thousands of movies on a server and streaming them directly to a living room. Data rates vary from 0.44 to 5.18 megabytes per second, and the more demanding the content (say, an HD movie), the more third party companies charge Netflix to stream the data. With Open Connect, Netflix plans to take control of its own data delivery. While this will involve a large initial investment and transfer certain operational costs to Netflix, it still beats the current scenario in which almost 20% of a subscriber's monthly $7.99 investment goes to data transfer costs (provided that he or she watches primarily HD movies, that is). Economics and IT aficionados will likely get a kick out of the more detailed metrics, but for those of us who simply like to switch on Netflix after a tough day at work or school, the bottom line is that Open Connect will probably keep subscription costs around a cool $8 while funneling more of that money directly to Netflix. This means potentially faster service, more content deals, and maybe even more comprehensive video selections overseas. If other large video providers decide to pursue this kind of self-sufficiency, it could be bad news for third-party data networks, but help consumers in the long run.